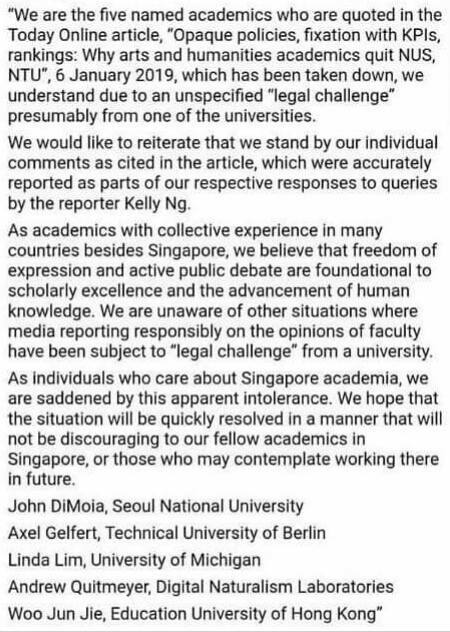 Five academics who spoke to TODAY Online recently about the issues they faced at the National University of Singapore (NUS) and Nanyang Technological University (NTU) have said that they are standing by the comments that was published in a recent article. “The Today article that was published on Jan. 6, 2019 fell significantly short of our expectations. 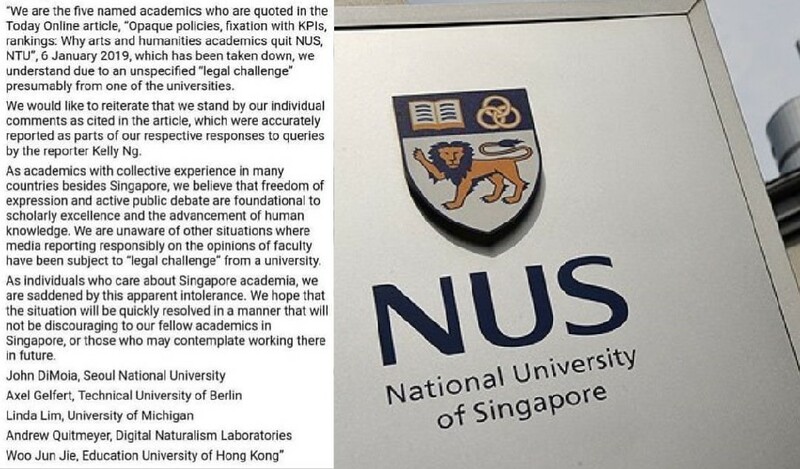 It also did not adequately represent NUS’ position on the matter, although our clarification was sought. In an attempt to explain the high turnover rate of academics at NUS and NTU, the TODAY article had interviewed about 10 academics who have either left or are in the process of leaving the top local schools. Five of these 10 academics were quoted publicly while the remaining academics were unnamed. TODAY suggested that opaque tenure and promotion policies, resistance to innovation, the overemphasis on research publishing over teaching and a “warped” notion of institutional excellence as the reasons why academics have left the two schools, even when they are awarded tenure. 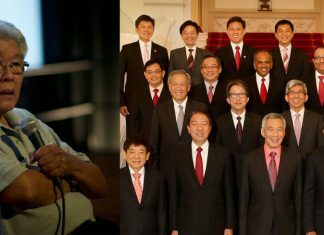 The MediaCorp publication added in the article that both NUS and NTU told them that turnover rate at the affected faculties were not high and that the schools did not provide any numbers. The five academics who were named in the article have since released a statement saying that they stand by the comments they made to TODAY.